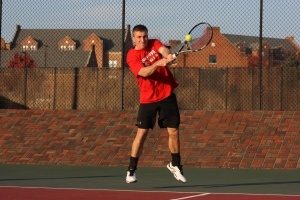 The Youngstown State University men’s tennis team (12-5) will open up Horizon League play this weekend with back-to-back matches on March 24 and 25. 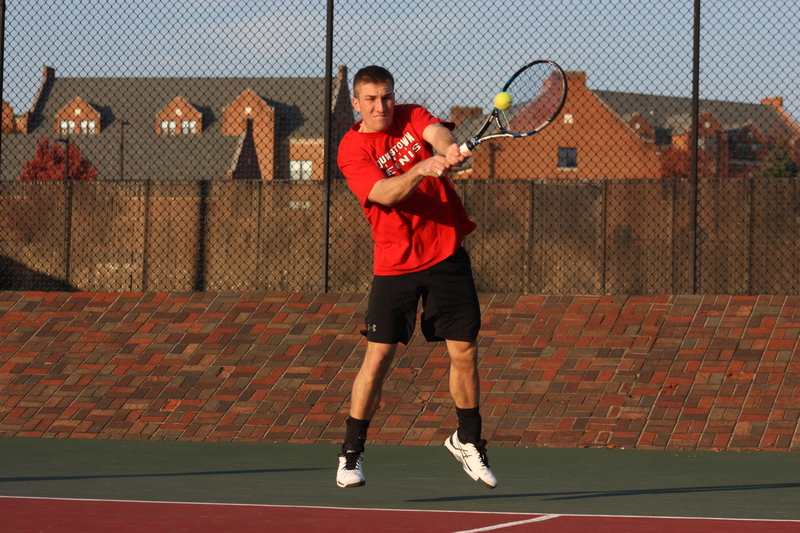 Mitch Maroscher returns a serve in a Fall practice in preparation for the Spring season. 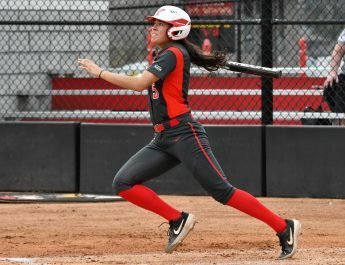 YSU has had a hot start to the 2017 season. It has won seven of their last eight matches while taking down teams like University of Dayton and Xavier University in convincing fashion. YSU senior Mitch Maroscher said that there were many factors to the team’s success as of late. Maroscher is undoubtedly one of the leaders for the Penguins as he is the only senior on the team this season. Along with being the only senior, this is Maroscher’s first year at YSU after transferring from Grand Canyon University. Maroscher also said that YSU head coach Mickael Sopel has helped him a lot this season with being the only player on the team from the United States. Sopel is impressed with his team’s performance during the beginning of the season and believes that the Penguins this year are some of the hardest-working that he has ever coached. Sopel also said that the team is focused on bringing YSU its first Horizon League championship for men’s tennis. The fact that there is only one senior on the team might be a challenge for this season but Sopel is very optimistic about the future of YSU’s tennis program. The Penguins will face one of the hottest teams in the country on Saturday. Valparaiso University (14-1, 1-0 in Horizon League) has won its last 13 matches with the only loss of the season coming from Big Ten opponent the University of Wisconsin. Valpo has already defeated the University of Illinois at Chicago this season, the team YSU will play on March 25. UIC (5-6, 0-1 HL) had a string of three straight losses in February but have gained momentum in March. The Flames will enter the March 25 match coming off of a two-match winning streak. The match against Valpo will begin at 3:00 p.m. on March 24 while the match on March 25 against UIC will start at 9:00 a.m. Both matches will take place at the Boardman Tennis Center.